Despite the majority of the world’s population living and working within the Asia Pacific, little is known about their psychosocial working conditions since the vast volume of literature published in the field is from Europe and the United States. The Asia Pacific Academy was founded in 2012 by Professor Maureen Dollard and colleagues to establish a collaborative network of researchers across the Asia-Pacific, with the goal of creating a platform for cross-national research collaboration and increasing the Asia Pacific's knowledge base in the area to address increasing concerns regarding work conditions in the Asia Pacific. Our academy members meet annually, and have an open democratic election process for all committee positions. If you have any queries or are interested in becoming a member, you can follow the links at the top of the page. From the 20 to 21 October 2016 in Shanghai, China, at the 6th Expert Workshop on Psychosocial Factors at Work in Asia Pacific, academy members came together to share experiences and evidence of psychosocial factors and solutions at work. 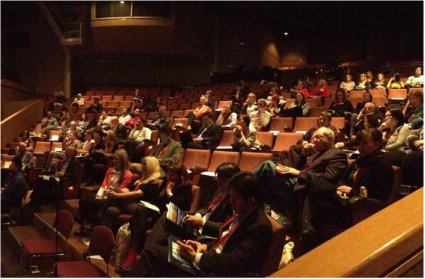 Membership with APA PFAW entitles you to a range of benefits, and helps you connect with researchers across the Asia Pacific. 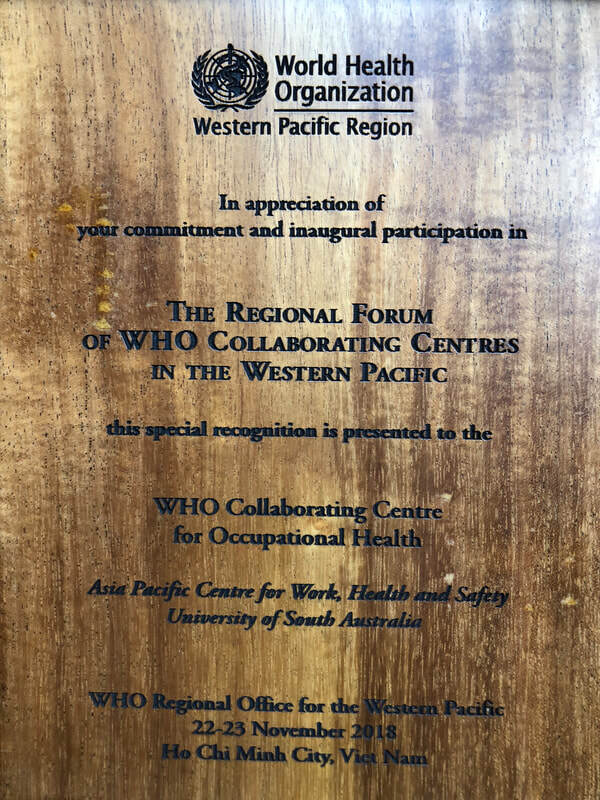 Award recognising the contribution of Asia Pacific Centre for Work Health and Safety to the WHO agenda, including activities such as those of the Academy.